Urban Circle Training Centre | prairie architects inc.
S/ Kowalchuk Consulting Eng. Ltd.
Urban Circle Training Centre Inc. is a non-profit training and education delivery program that was started in 1990-91 to provide training to Indigenous men and women. 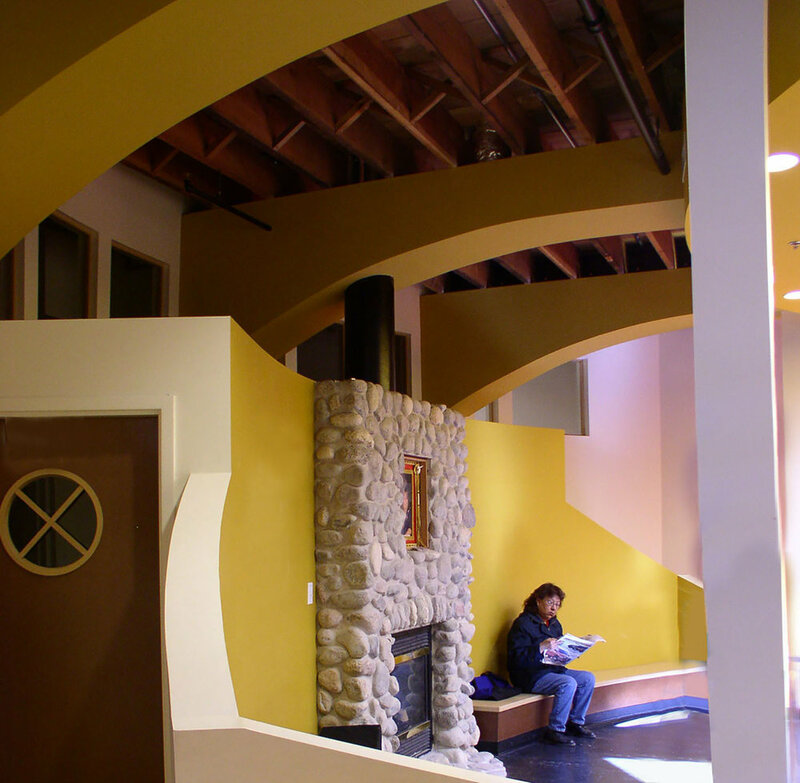 In 2001 Urban Circle raised the capital funds for a new home in Winnipeg’s North End on Selkirk Ave. This $1.4 million project has involved the redevelopment of an abandoned retail store into two floors of classrooms and office facilities for the 103 students and 20 staff of the centre. 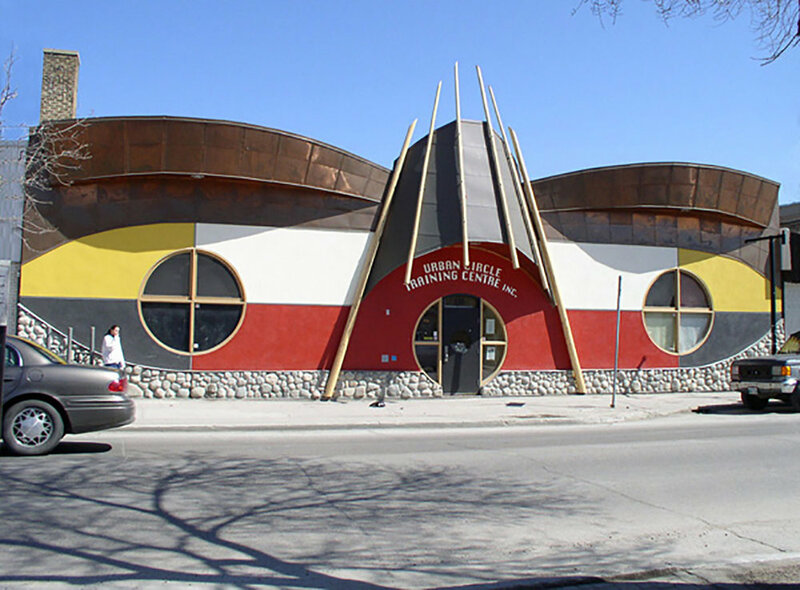 The client wanted a renewed facility that would express the beauty of indigenous culture and provide a creative and comfortable setting for its students and staff. 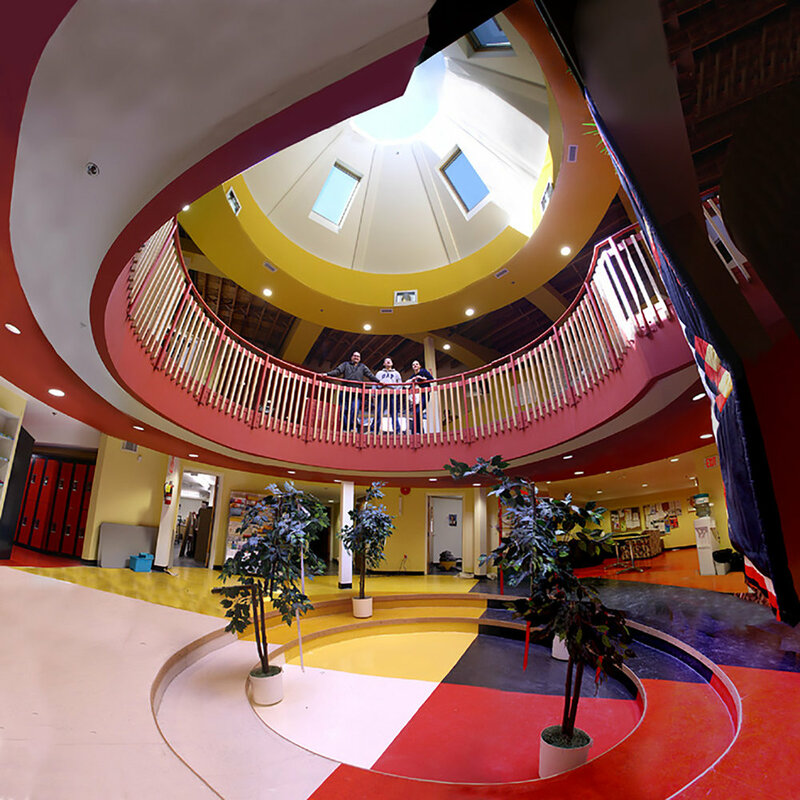 Prairie Architects worked with the steering committee to develop a design based on the four directions of the medicine wheel, and featuring a circular great hall at the heart of the facility. 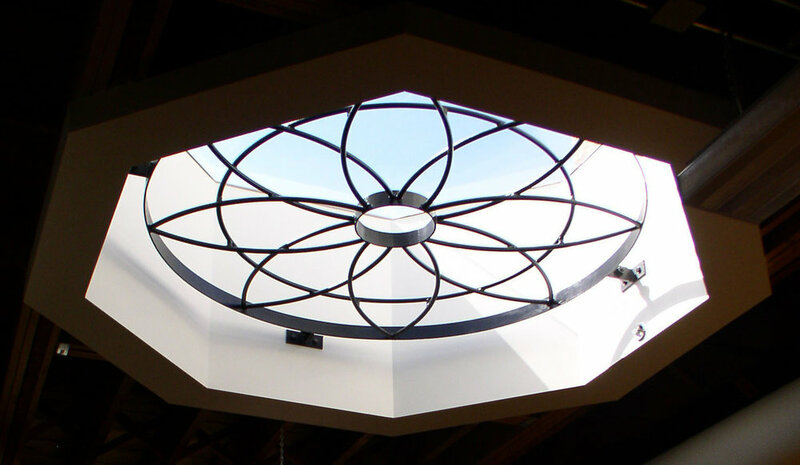 A three storey circular space opens up the building, reaching from the basement to a rooftop skylight. This great hall allows light to penetrate to the lower level and connects the entire building. Four classrooms occupy the four corners of the main floor. Windows open to the exterior and into the great hall area. The boardroom, computer lab, student washrooms, lockers, occupy the lower level. At the heart of the building is the ceremonial and healing space starting from the lower level extending to the sky above. The entire building has been redeveloped to meet current building and accessibility codes, and now provides a more energy efficient space. The new facade provides a new face to Selkirk Avenue, assisting in the redevelopment of this part of Winnipeg’s core area. The 13,000 square foot facility opened in June 2002.